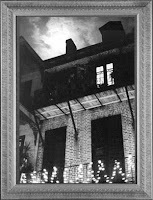 Royal Street in New Orleans has many ghost legends—one of the most tragic is the story of a beautiful young lady who was an octoroon mistress. An octoroon is a person that is one-eighth black by decent. In the 1800s female octoroons were freed blacks. They often received the best educations and were members of wealthy families but societal norms prevented them from marrying white men. Masked balls were held in New Orleans were beautiful octoroon women were selected by wealthy French Creoles men as mistresses. These women willingly attended these balls because it meant they would be “kept” in high style—in fine houses with servants to do their bidding. 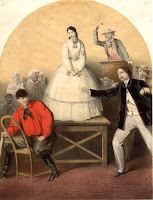 One of New Orleans’ most beloved ghost stories is about a young octoroon mistress called Julie. In the 1850s Julie who had stunning dark eyes and beautiful dark hair was living in a fine house on Royal Street as the mistress to a handsome young wealthy Frenchman. Julie began to demand more—she wanted to marry her Frenchman. She was blind to the fact that he might not return her love and even if he did his position in society would never allow them to marry. He told her if she loved him and wanted a marriage she would strip naked and go up to the rooftop of the house for the whole world to see. He then went downstairs to continue playing cards with a friend. Julie desperate to prove her love undressed and waited on the rooftop for his return. It was a cold and damp December night. Hours later when he returned he discovered that Julie was not in their bed. He searched but could not find her. It then dawned on him she must have taken his threat—issued when he was angry—seriously. He ran to the rooftop and found her frozen naked body huddled in one corner. She was dead. The legend states this young Frenchman came to regret his actions for he missed Julie and realized he had feelings for her. People that pass by this house today on Royal Street state that on cold December nights they have seen Julie’s ghost—naked—pacing the rooftop still waiting for her lover’s return. The home contains a business called Bottom of the Cup Psychic Readings. People who work here and customers report experiencing this haunting. 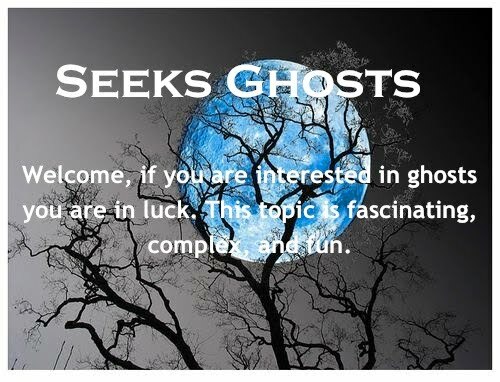 Julie’s ghost is considered friendly and she is heard giggling throughout the house. Her French Creoles lover is said to haunt the garden outside the home. Witnesses to this haunting state he emits an air of sadness. So it appears the pair are still connected in death.